In the 1930s he was jailed for running a moonshine still. Inside he met a capo who told him that money was to be made in gambling. On his release, Giancana was instrumental in ensuring that the South Side gang ran all the gambling in Chicago. In the mid 1950s he became manager of operations and from 1957 until 1966 he was head of the Chicago mob. He was ruthless. In his nine years in control there were 79 mob murders. From 1966 until 1974 there were only 24. One of Giancana’s girlfriends was Judith Campbell Exner who was also sharing a bed with President John F. Kennedy (search the article). It was claimed that Giancana was involved in an attempt to assassinate Cuban dictator Fidel Castro. 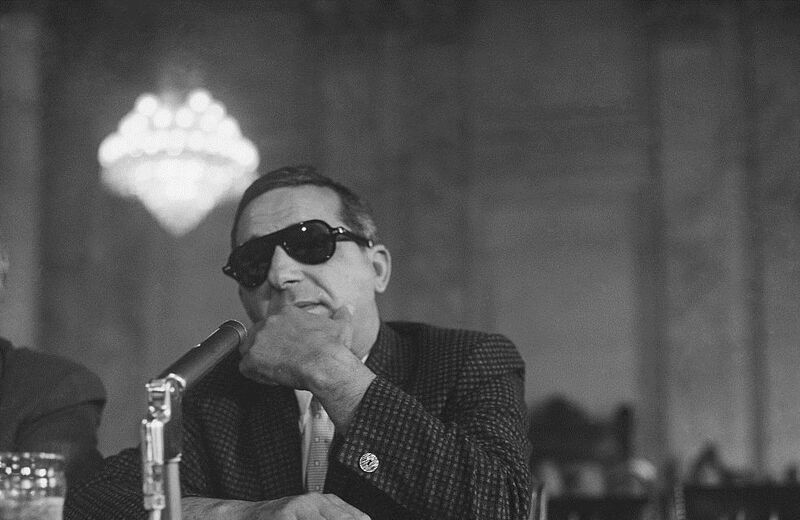 The attempt brought Giancana to public attention and on 1 June 1965 he was jailed for refusing to co-operate with a federal grand jury. On his release he went into self-imposed exile in Mexico. The FBI continued to investigate Sam Giancana when he retired and in July 1974 he was deported from Mexico and taken to Chicago, where he appeared before a grand jury investigating Syndicate gambling and the 1973 murder of Richard Cain, a policeman who turned to the dark side and became Giancana’s bodyguard.